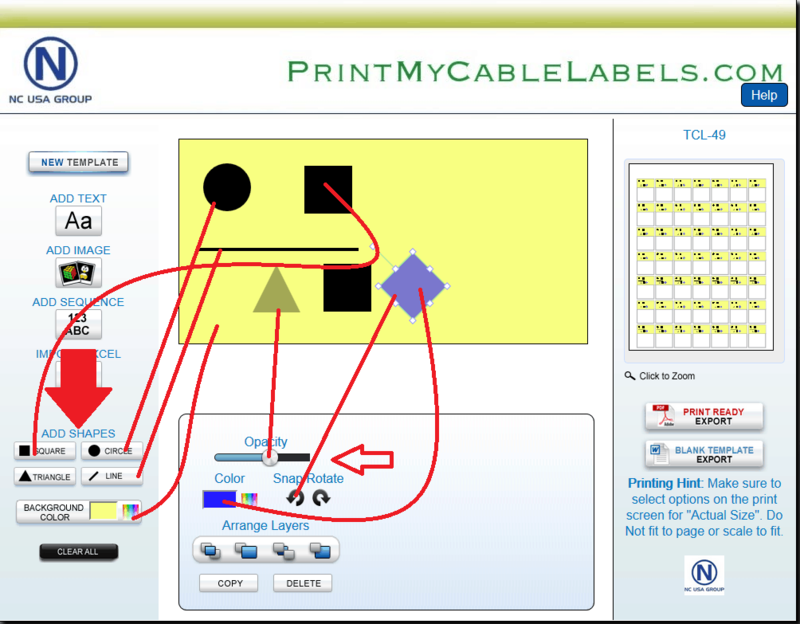 Each of our cable labels will have a few sets of templates for you to use, you can select the ones for your cable labels from the templates when setting up your printing. In the bottom left-hand corner of the software, we have some other features for use if needed. The can be used on all projects “ADD SHAPES” you can move them around the labels and change the color. 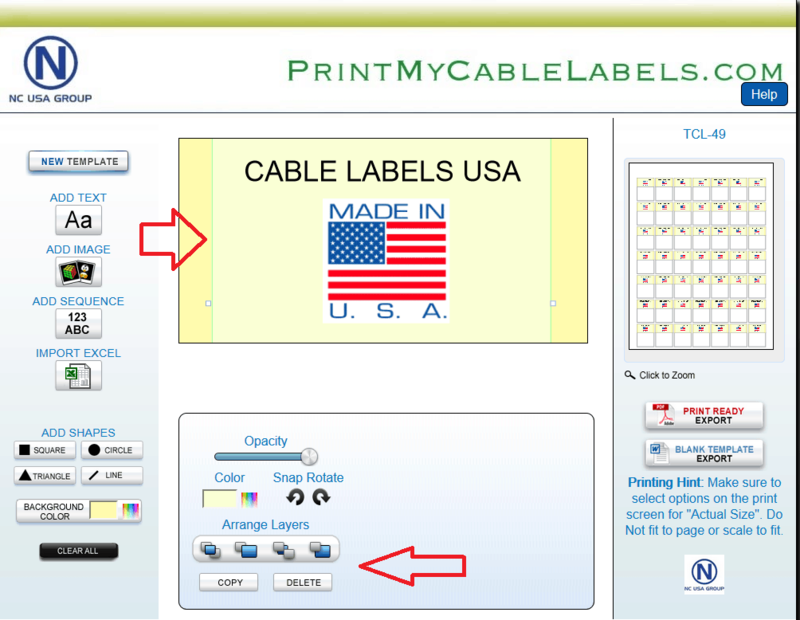 The background of the cable labels can also be changed using this feature if you have a color laser printer, which is great on some patch panel installation. You can also dim the color or even the text that you place on the cable labels. Switch your text or numbers sideways with the snap Rotate, so you numbering systems can be sideways. the software will let you arrange layers, so you can import files and move forward or backward to create the labels you require.